Addressing and responding to mental health issues in the workplace can be tough – uncomfortable, even – but it’s definitely something that can’t simply be ignored. Some managers might feel that they can’t address mental health issues in the workplace because they’re not a psychiatrist, but that’s not true at all! You don’t need to be a licensed professional by any means. In fact, sometimes all it takes to make a meaningful impact is an open and honest conversation, or a small boost to an employee’s mood or confidence level. So the question is: How can you, as a manager or supervisor, respond to any mental health issues that may arise in your workplace? Here’s some advice to get you started. Be observant of changes in employees’ behavior. This includes their mood, appearance, performance, timeliness, etc. If you notice changes, especially negative changes, be sure to ask if everything is alright. A simple but genuine, “How are you?” can go a long way. Intervene early. Show care, concern, and compassion as soon as you notice the change. Definitely don’t wait until the behaviour starts to affect others within the workplace. Offer direction, not demands. 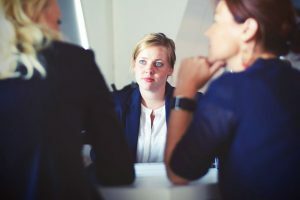 Rather than requiring that your employee seek counseling to address his or her issue, provide a soft referral or reminder that there are support programs if needed. Be open and compassionate if an employee says they have a mental illness. Keep in mind that confiding in you was probably a huge step for them. Let them know that you are willing to work with them, as they are just as valued as anybody else on the team. Make mental health awareness a regular part of the workplace. Hold monthly mental health meetings, refer to it in weekly newsletters, include mental health topics in trainings – the more openly it’s talked about, the less stigmatized it becomes. Now that we’ve covered some basic tips for addressing mental health issues in the workplace, let’s discuss three factors that can positively affect mental health both inside and outside the workplace. There has been substantial research conducted to demonstrate the therapeutic effects of laughter, showing that it may even have healing powers over various health conditions, including mental health. A study conducted in 2012 looked at the effects of laughter on heart rate, anxiety, and depression. 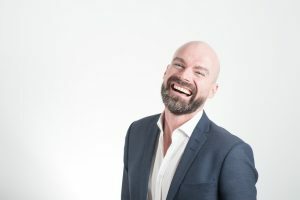 The research evaluated the effects of ten laughter yoga sessions (breathing exercises that include forcing yourself to laugh) on six participants across a four-week period of time. Heart rate variability (HRV), blood pressure, and mood were all measured before and after each session, and anxiety and depression were rated at the start and end of the four-week period. In essence, this study – and many others – have showed that a positive frame of mind, mixed with a little bit of laughter, really do make people physically and mentally healthier. While most people are well-aware of the physical benefits of exercise, they may not be quite as familiar with the mental health benefits. There are certain chemicals in our brains, like endorphins and serotonin, that improve our moods and make us feel good. These chemicals can be stimulated by exercise. By exercising regularly (5-7 days of the week for at least 30 minutes per day, according to Australian Government guidelines), people have the ability to improve their mental health in several different ways. Lastly, it’s important to note that practicing mindfulness while exercising can also help to greatly reduce stress and improve overall mental health. In the section above, we briefly mentioned serotonin and how this chemical improves mood and makes us feel good. Well, exercise isn’t the only factor that plays into serotonin levels… nutrition does, too. In fact, about 95% of serotonin is produced in the gastrointestinal tract. Since the gastrointestinal tract is lined with millions of nerve cells, it should come as no surprise that the digestive system doesn’t just help digest food, but also impacts emotions. Research has shown that when people increase their probiotic intake, a number of desired changes occur. Typically, their anxiety levels decrease, their perception of stress is reduced, and their overall mental frame of mind is improved. The typical Western diet, on the other hand, consists of MOSTLY processed foods and refined sugars. 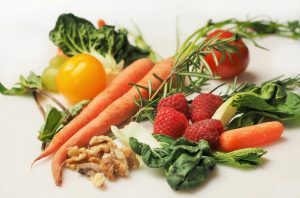 Research has shown that the risk of depression is 25-35% lower in those who stick to a more traditional diet. Another recent study conducted by Australian National University found that the work limit for a healthy life should be substantially reduced. Rather than the 48-hour weekly limit set internationally about 80 years ago, this study found that adults actually shouldn’t be working more than 39 hours per week if they want to protect their overall wellbeing. In fact, according to these researchers, working beyond 39 hours puts employees at risk of developing mental health problems. Holistic Services Group offers a wide range of workplace wellness programs, seminars, and workshops designed to keep your workplace healthy and productive. Many of these are mental health-based, and will provide you and your employees with information and tools to improve mental health within your workplace.